Statistics show that most people will change career five to seven times during their working life. The days of having a step by step career in one organisation is past and new models of work are emerging. Changes once seen as radical are no longer seen as unusual. Career goals shift, values change and a readiness to try something new and inspiring is backed by the power of choice. There is a new awareness of self and what is needed for well-being which people are making possible in their work life. There are cases where a career change is not a choice but something forced by redundancy. This can create high levels of stress in the short term but often turns out to be a blessing. Creating opportunities for personal and professional reinvention that might not otherwise have been considered. This can be the catalyst that allows access to skills, competencies, experience and resources that are transferable across industries. For some, these transferable skills are utilised to incorporate side passions or interests. The first thing to consider when planning a career change is to understand why you want to make the change. Timing is crucial because it involves your absolute commitment, focus and readiness for this process. If you are not ready to dedicate the focus and energy to make this transition, then the timing will not be right. The decision to make a career leap should not be rushed. Work out where you want to go, which entails deciding what you like to do. This is the time for self-reflection and consideration. Examine your work, your life, and the balance you want to have. This may be a difficult thing to do on your own so talk to as many people as you can, including those different from yourself in outlook and experience. People often find that they can do more than they first think they can and feedback from others can assist here. Adjusting to a new pattern of work can be difficult. Don’t assume that what worked for you in your old career will work in the new environment. If you take your leap for granted and are not strategic about how you position yourself, build connections or focus your effort, then you are not supporting your move in the best possible way. 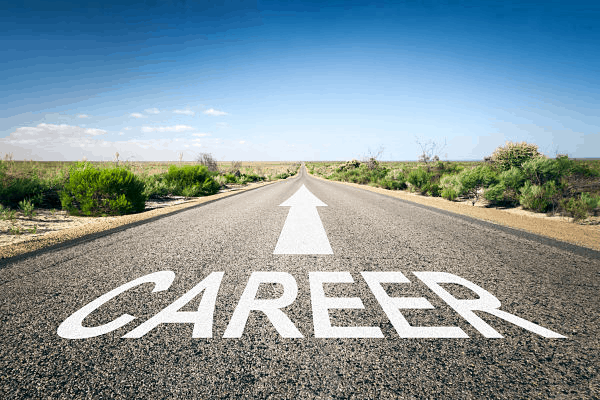 Research your career change – What are you willing to do? Once the direction is chosen there should be a period of research to identify what will be needed. It might be necessary to develop new skills, especially if you are going out on your own. Adjusting to the lack of support provided by a corporate environment can be a problem, especially when it comes to learning new technology and processes without experts to call upon. Another issue in moving out of a large company is the change in social dynamics. Self-employment can be isolating for people used to having others around them, so it can be important to have a supporting network of friends and family. No career can be considered in isolation. The best career path is one that aligns with your personal purpose and values. Consider how your new career path will impact your relationships, finances and daily life. It’s important to ask yourself the tough questions and be honest with your answers. Are you willing to relocate for a new career opportunity? Are you willing to sacrifice financial reward for professional growth? Make sure your CV and covering letter show skills which match the role, even if your background is not related. Pull apart the job spec and highlight the keywords, competencies, traits, skills and language being used. Then pull apart your experience and achievements and match them up to the position. Write a short profile at the top of your CV outlining your experience and why you plan to change career. Your cover letter should complement your CV and focus on why you want this particular opportunity you’re applying for as part of your career change. If you have anything relevant to the career change such as training or academic qualifications, make sure they are visible early in your CV. Conducting research on the company you’re interviewing with, could be the crucial factor that sets you apart from other candidates with more experience in the field. Focus on the questions you are asked rather than saying what you want to say. Also prepare questions to ask in the interview that are relevant and show a genuine inquisitiveness about the role. Talk about how you would go above and beyond to improve or add value to the business. Discuss what it is you want to do and how you feel you could add value, pointing out that showing commitment and being a good cultural fit for the organisation are often more important than having prior experience in a similar role. Find connections between what you’ve done in the past and what you can do here. Emphasise that you’re really eager to move into the new sector, you’re informed about it, and add that you’re a fast learner. Talk about the ways your experience and skills are not only different but add something unusual to the mix. Written applications are not always the doorway into a new career. Talk to people about the work they do. This helps you find out whether you’d like it, but also gives you the right terminology. Meeting people face-to-face puts you in a much stronger position to ask for advice. You might just find a mentor or sponsor for your new career. Reach out to people in your network. Set up coffee meetings, go to meet-ups and networking dinners and get in front of people. Also add any courses you go on or networks you come across to your LinkedIn profile to help make you more visible and your profile current. Set yourself a research project to find organisations that fascinate you and people that work in them. Once these are identified, work out who’s approachable and allow conversations to develop from there. Keep yourself inspired and make relationships and choices which are aligned with your values. These are purely our thoughts and opinions on this topic. Any career advice or CV preparation can be sought from our career coaches via www.recruitmentpool.com.au, a BPO Group partner company.